I am wearing my new vest at work today! I like how fluffy and warm it is. I also like that the front and back pieces are different. 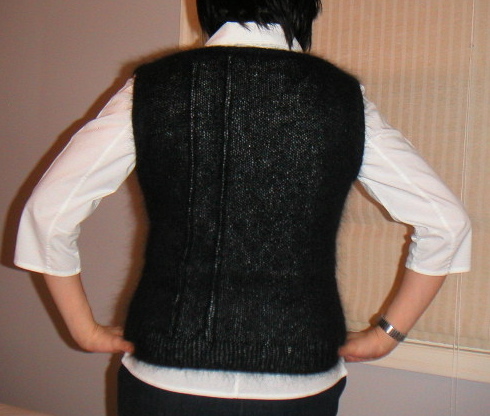 The ribbing on the front actually adds some shaping. 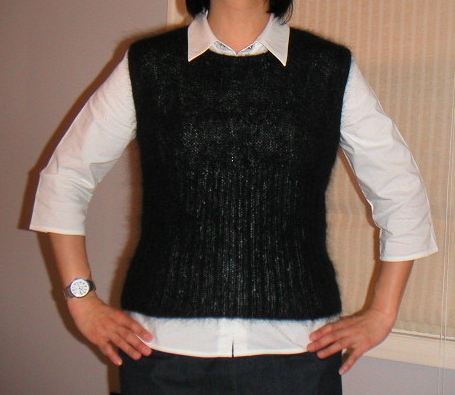 The knitting of this project was a little boring, but I am really happy with how it turned out.